Rebuilding a dynasty isn’t an easy task. Even more, if the team that you are restructuring has dominated the past four splits of the European LCS. Despite all the doubts and the shaky start, the new G2 lineup is fighting their way to the top. Keeping all the hopes alive with an overall record of five wins in eight games and a shared second spot, isn’t too bad for the start. Despite an overall good record, the team is struggling to keep the dominance alive that the previous lineup left them with. This is the first year we’ve witnessed G2 struggling. There were a few ups and downs, but we couldn’t call it a slump.They might be winning but we are far away from their dominant days. All the decent results aside there have been notable changes in their playstyle and they aren’t in tune with the players, yet. Even if the old habits passed onto this new lineup and even if they still play a late game team fight oriented playstyle, there are major differences in their early game. Since the addition of Jankos, the team has been playing more aggressively from the jungle and middle lane. While the old G2 might have waited to the right moment for a fight or they would passively look for space and path around any early trades, this new g2 works a bit different. They are not scared to increase the tempo, but they are not looking to snowball. They are looking to control. If a habit maintained is the stellar knowledge when to press the action button. This weekend in their match versus Schalke, G2 was able to get a small gold lead fairly early in the game. However what they did with that, was to play more aggressively around raptors and towards Nukeduck’s Leblanc. They weren’t really focused on increasing their lead. They were focused on stopping Schalke to get into a scary position, hindering Leblanc to get fed. Although they were ahead they kept calm and waited until their power spike at the 25-minute mark before forcing engages over and over again. They not only recognized they were fine by maintaining their lead due to their scaling but at the same time knew how to keep adding to their lead in form of pressure. Jankos job could have the been titled after the movie “bodyguard” as he is literally guarding all around Perkz and making sure that no Jungler comes near him. And camping Perkz is not even a new trend in Europe. Adding to the team’s consistency is the new bromance HJADID. They bot lane has shown great synergy so far and are the foundation of G2’s success. They have to play without any jungler attention as Jankos will always be around mid lane to protect Perkz. So they often play self-sustainable bot lanes with champions like Ezreal or Varus as AD Carries or Ornn and Tahm Kench as a support, which fits perfectly the team’s controlling and late game team fighting style. It definitely fits the G2 style and keeps Wadid on a peeling support for the late game team fights around Perkz, which is the totally opposite to what he was playing at Roccat past season. Anyways this has been paying off for the bot lane where they drop lane aggression for scaling. As Wadid tends to roam between the five to ten-minute mark to support Jankos while warding or even gank mid lane and apply more pressure for Perkz those picks allow for Hjarnan to farm safely alone. Then all they have to do is to be the rock solid back line during the team fights. So far they have performed really good. Against the Unicorns this week a miracle Baron Steal by Hjarnan’s Ezreal ultimate might have saved them the game. Although a very controlled and thought out early game, their mid to late game is still needs some polishing. Even if G2 plays for the late game, the communication has yet to work flawlessly. Showing difficulties to come back into games or deal with slight disadvantages from some early game mistakes. The main shotcaller Mithy left the team and it is noticeable how much sloppier they became since his departure. In the start of the season, they weren’t on par with the decision making and led to losses against Roccat and Giants. Problems that still maintained throughout week 4, although they got better in coordinating their team fight decisions they have to master their communication with top laner Wunder. One of the most characteristic aspects of the G2 top laner is that he always pressures the map, never get into danger and always draft for the composition. Wunder is playing for the team. He adapted to the team's needs and plays a solid game so far this split. 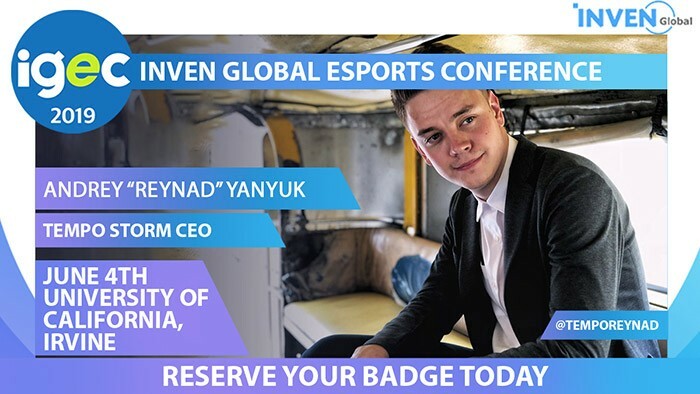 If he is not on Gankplank to farm up he is on a tank either scaling or setting up for the team. His stellar individual skills and carry potential he used to excel while playing in Splyce are only visible in his laning phase. Due to the lack of jungle pressure in the early game, he cannot play his Gnar aggressively nor go for a Camille without Jankos backing him up. In G2 history there were always utility oriented top laners, as they would have to adapt to the system and not play to carry. 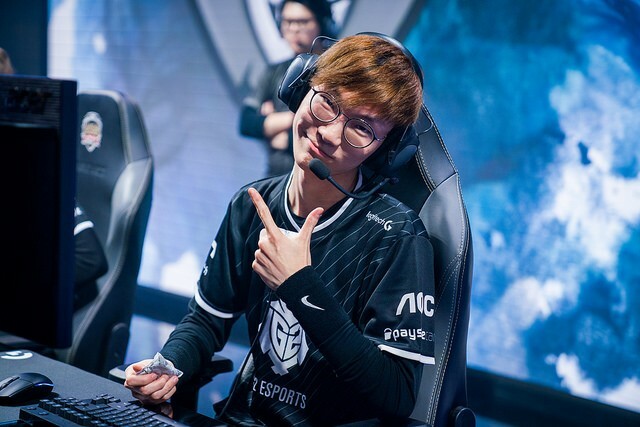 While ex G2 Top laners like Kikis excelled with consistent top-tier performances on a variety of champions, Expect’s qualities had a much lower ceiling despite better mechanical prowess on a few champions. Wunder is the complete opposite, he not only excels at a certain variety of champions and most specifically a certain style of champions, he is a better cleaner overall. He quickly adapted to his role and has had consistent good to great performance after the initial week 1 and week 2 slow starts. However, you can see the difference between what this player can do when he is put in his comfort zone (Gankplank/Gnar). Adding up to this moment the meta has been very pleasing for the G2 Playstyle always providing the team with options to go for double scaling. Azir, Gangplank or Ezreal have been fairly popular with the team as they have extremely strong first item spikes and scale towards the late game. G2 cannot really escape the problems of having their players perform on an outstanding individual level. Even if everyone is playing solid and great as a team we have yet to see a player step up and single-handedly carry a game. All their games so far they won and lost as a team not due to individual mistakes. Partly it is a good thing since the system is working. The team is getting well together and if they were to build on the qualities of the previous team, this is the one. 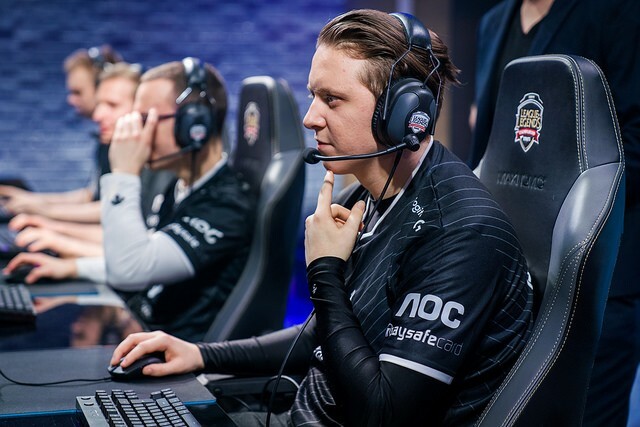 We haven't seen much variety in compositions on G2 so far as they have been mainly focused on working it out as a team rather than playing outside the usual meta spectrum. G2 is definitely a team to watch because they didn't drop in quality but rather shifted their playstyle and are still adapting to the new team environment. The new G2 style is an evolution of the old version, however, we still have to see how they perform in a best of three environments and who is able to step it up when it matters. Other than that there shouldn't be a reason why G2 should not be considered a title contender. Hello guys, Alexandre Weber also known under the ID: DrPuppet. I'm a Brazilian professional Coach and content creator since 2015, mostly focused on League of Legends. I worked with many teams throughout the years in major and minor regions, but my most known work was with Kaos Latin Gamers from Chile in 2015, where we played the International Wildcard Finals against Pain Gaming. Since then I have been studying Cinema in Hamburg and creating content on youtube and twitch, besides writing for respected sites in Esports. You can find me on the social networks under @drpuppetlp and on Twitch under DrPuppet.